This national historic park is a group of reconstructed buildings from the 19th century in Virginia. As one of the national park service sites in Virginia, it is managed by the US National Park Service. It commemorates the Battle of Appomattox Court House and also features the house of Wilmer McLean. This is also the site wherein the surrender of the Confederate Army took place that put an end to the American Civil War. The park itself was established in 1935 but was named a national historic park in 1954. The total land area covered by the park is about 1,774 acres. This national seashore is attributed to both Virginia and Maryland as it spans over 42,000 acres along the border of both states. This natural seashore encompasses about half of Assateague Island. The National Park Services oversees and manages the facilities and recreational activities within the area, particularly the beach. It was initially planned to be a resort community until a storm in 1962 destroyed everything that was built for at that time. An average of 2.1 million tourists visits this area each year due to its white sand beaches and wild ponies. This Greek revival style mansion is also popularly known as the Custis-Lee Mansion. It is located in Arlington, Virginia. It was the home of Confederate General Robert E. Lee. The mansion overlooks the National Mall of Washington DC and Potomac River. At the time of the American Civil War, the ground of the mansion was used for the Arlington National Cemetery. Ever since then, the home was dedicated in memory of Lee and it was named a national memorial. The mansion was built in the early 19th century. The Blue Ridge Parkway is an internationally known all-American road noted for its scenic beauty and drive. It is a unit of the national park service sites in Virginia and North Carolina, specifically within the towns of Asheville and Roanoke. The area protected by the US NPS measures at more than 93,000 acres. This is the only unit of the National Park Service that is highly visited by tourists that is not a national park. The Blue Ridge is the most prominent feature in this scenic route, which is a mountain chain that is part of the Appalachian Mountains. This national monument is another unit of the national park service sites in Virginia. It is located in Franklin County and preserved the 207-acre portion of a tobacco farm that was significant to the life of Booker T. Washington. Washington is an educator and a leader who rose to this position despite being born out of slavery in the mid-19th century. The site provides a glimpse into the life and achievements of Washington, as well as what took place in the farm and his life during the time of slavery. As one of the national park service sites in Virginia, the site receives an average of more than 24,000 visitors per year. Built in the late 18th century and named a national historic park in 2002, the Cedar Creek and Belle Grove National Historical Park was established to protect several historically significant locations in the region. The entire area of the protected site measures at 3,700 acres and the majority of it is privately owned. In fact, the majority of the battlefield that is included in the protected area is not open to the public. There are self-driving guided tours and park ranger-led tours to the site that you can access via public roads, however. Located within the Hamptons Road region of Virginia, this park is managed by the US NPS. As one of the national park service sites in Virginia, it protects several different locations within the region that holds historical significance to the defeat of the British army during the American Civil War and the site of the first landing of the English settlers in America. Among the most notable sites included within this park are Colonial Parkway, Yorktown Battlefield, Jamestown and Green Spring Plantation. This is another one of three sites in this list that Virginia shares with some other states. The Cumberland Gap is part of the Appalachian Mountains and the tri-state area belonging to the park covers 20,508 acres. The average number of tourist visitors to the park is at more than 853,000. This area was used by Native Americans because it is a fertile hunting territory, specifically buffalo and wild deer. There are also several species of migratory birds that pass through the area. The park was established to protect the natural beauty while also focusing on historic preservation. In some parts of the park, there is also an early 20th century Kentucky mountain community and settlement. The management of the park is hoping to preserve this area. There is also a visitor center in the area that is open for tourists all year long. Fort Monroe is a decommissioned military installation located in Hampton, Virginia. This national monument was established to commemorate this site. During the early days of the Colony of Virginia, the Fort Monroe was considered an important defensive location. The fort was built in the early 19th century but was named a national monument in 2011. It was President Obama who designed this site as a national monument to recognize its natural, historical and scientific importance. This is another unit of the national park service sites in Virginia that commemorates four battlefield sites during the American Civil War. These battlefield sites include the following: Battle of Fredericksburg, Battle of the Wilderness, Battle of the Chancellorsville, and Battle of Spotsylvania Court House. Aside from these battlefield sites, there are also several historic buildings located within these sites that are preserved within this park too. This over 8,000-acre park has two visitor centers and receives an average of more than half a million tourist visitors per year. This 600-plus acre site is another unit of the national park service sites in Virginia. It is located in Westmoreland County and encompasses a colonial plantation that was established in the 17th century. This plantation is owned by George Washington’s great-grandfather, John Washington. Washington’s house is the main feature of this national monument but a memorial house was also built during 1931. A memorial shaft obelisk made of Vermont marble, which is a replica of the Washington DC monument for George Washington, is built at the entrance. This parkway runs along the south bank of the Potomac River in Mount Vernon, Virginia. It is currently managed by the National Park Service and there are no commercial vehicles allowed. However, airport shuttles or taxis are allowed to pass through this parkway. The official designation for this parkway is State Route 90005. The parkway was established in 1930 and measures at 40 kilometers. This early 20th-century historic site features a Gothic style architecture. It is located in 110A E. Leigh St. in Richmond, Virginia. It was named a national historic landmark in 1975 and a national historic site in 1978. The site is part of the “Quality Row” within Richmond’s Jackson Ward neighborhood. The site tells the story, life, and work of Maggie L. Walker, who as the first female bank president in the United States. Park rangers offer tours to the home. This site features two major battle sites of the American Civil War: First Battle of Bull Run and Second Battle of Bull Run. The once peaceful countryside in Virginia saw the clash of the Union and Confederate armies during that time. The actual battlefield site is located within Prince William County in Virginia. It was established in 1940 and spans over 5,000 acres in land area. The park commemorates and preserves the historic terrain where the soldiers fought and died in during the American Civil War. The battlefield site is visited by nearly 1 million tourists each year. This park was established to preserve the site of the Siege of Petersburg during the American Civil War. The battlefield is located in Petersburg city in Virginia. The annual number of visits to the park is at 140,000. There are three major units that consist of this park and one additional component: Eastern Front Visitor Center and Park Tour Road, Five Forks Battlefield, City Point Unit, and Poplar Grove National Cemetery. This is another one of the national park service sites in Virginia that are located in Prince William County. This forest park is located next to the Marine Corps Base Quantico. The park measures at 16,000 acres and is, therefore, the largest protected natural area in Washington, DC. In addition, the park features the Quantico Creek watershed. The park is home to several species of native plants and animals. For those who like to visit the park, there are several recreational opportunities on the site such as wildlife viewing, tent camping, bicycling, and hiking. This park measures at over 3,000 acres in land area and protects 13 American Civil War sites within Richmond. In fact, the city served as the capital of the Confederate States of America for most of the war. The majority of the park features are focused on the home front together with the defensive fortifications built in the city during the time of war that had been preserved today. This unit of the national park service sites in Virginia covers some parts of the Blue Ridge Mountains. Most of the park is long and narrow but the Shenandoah River and Valley is wide and broad. To the east of the park is the rolling hills of Virginia Piedmont. The most recognized part of the park is the scenic Skyline Drive that makes up 40% of the entire land area in the park. 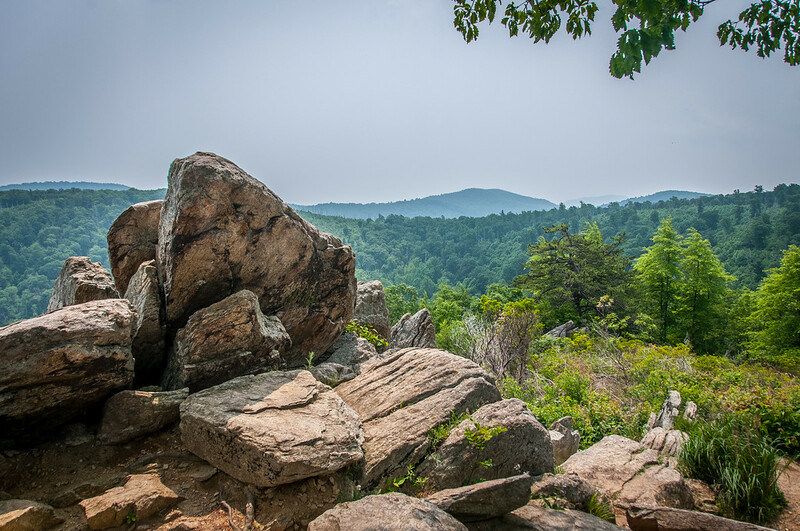 In addition to being named a national park, Shenandoah National Park is also recognized as a national wilderness area. There are approximately 1.4 million tourists who visit the park each year. Known simply as Wolf Trap, this performing arts center is located in 1551 Trap Road, Vienna, Virginia. The entire structure measures at 117 acres and was established through the initiative of the National Park Service. There are numerous performing art venues within the park including the Filene Center, Children’s Theatre in the Woods and Meadow Pavilion. The Wolf Trap Foundation for the Performing Arts helps to manage the park grounds and its features after it was established in 1970.